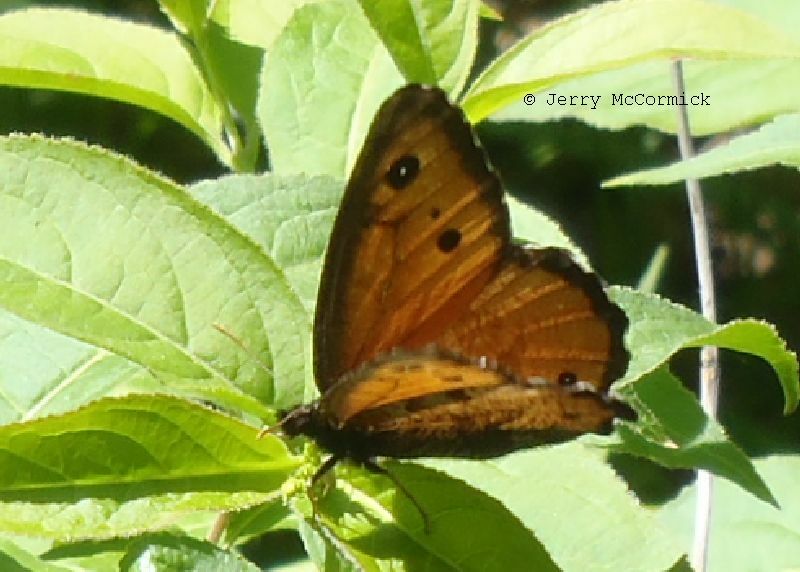 Identification: Upperside is bright orange-brown with black borders on both wings. 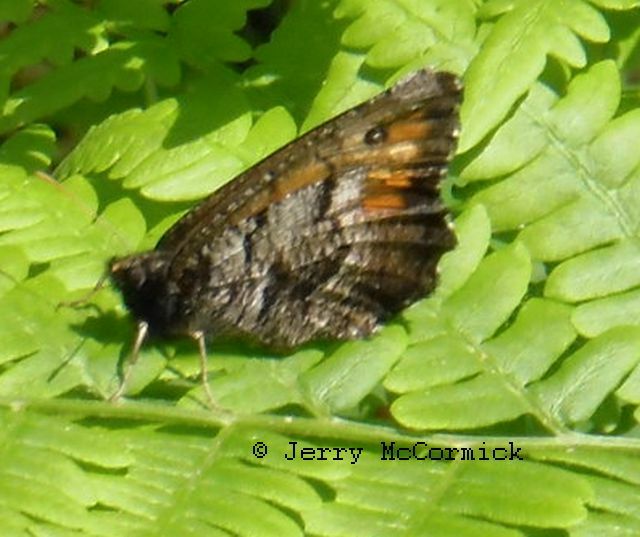 Two black eyespots on forewing, one on hindwing. 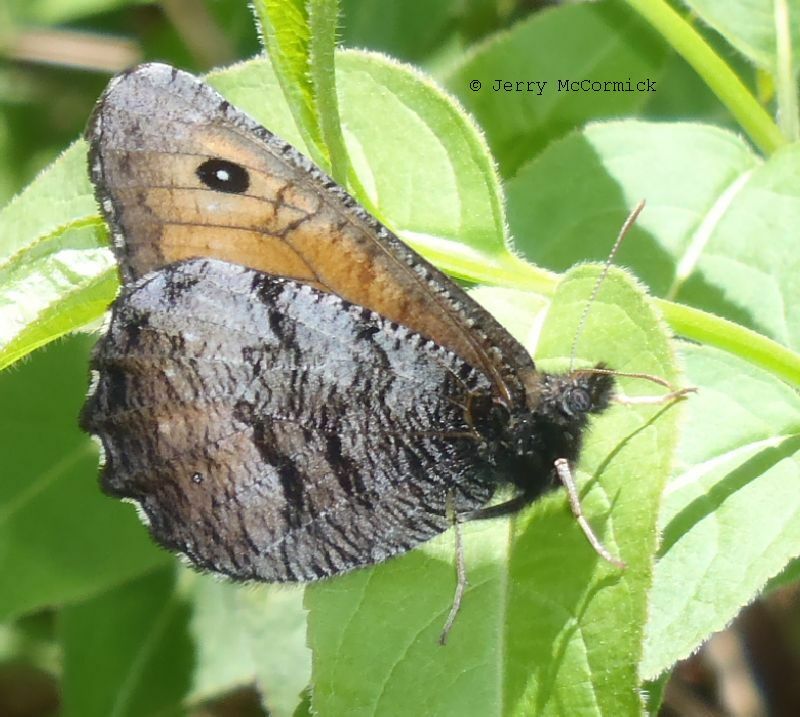 Male lacks a patch of black scales on the forewing. 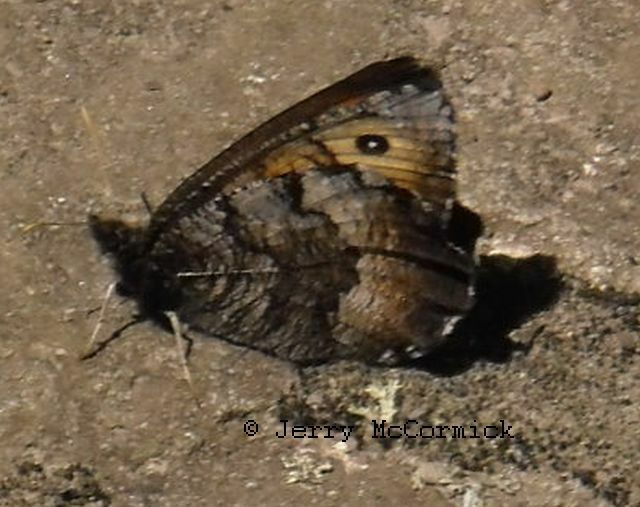 Underside of hindwing is cloudy gray with a distinct dark median band. Wing Span: 2 1/4 - 2 3/4 inches (5.7 - 7 cm). Life History: Males perch in glades to watch for receptive females. Caterpillars require 2 years to complete development; hibernating as young caterpillars the first winter, and as mature ones the second winter. Flight: One brood from early June to early July. 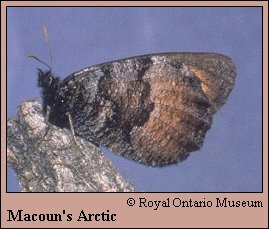 East of southeast Manitoba, adults fly in even-numbered years; westward, in odd-numbered years. Caterpillar Hosts: Probably sedges (Carex species). Habitat: Openings in forests of western jack or lodgepole pine. Range: Across southern Canada from British Columbia through the prairie provinces to northern Minnesota, northern Michigan, and central Ontario.